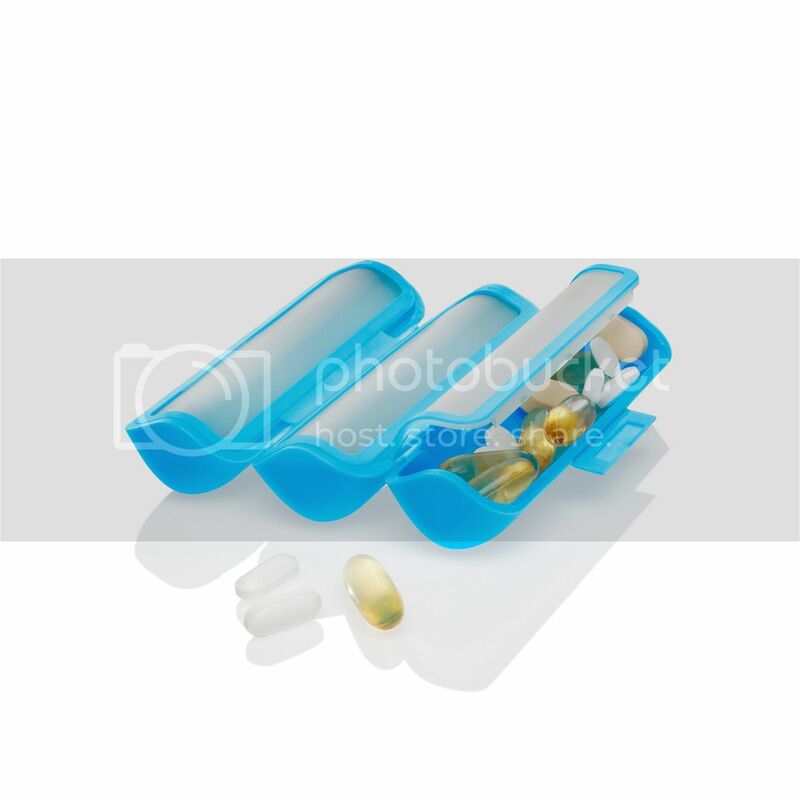 The TRIPOD pill box is a roll-open pill organizer designed to place large pills, vitamins and supplements. The TRIPOD pill box rolls open to expose three large compartments each covered by a hinged, clip-closed lid. Pill box compartments are very handy for storing different items like elastics for teeth, gum, make up, pins, napkins and other necessary items no matter if you have a day trip or travel overseas. The TRIPOD pill box is easy to open and close. The TRIPOD pill box is covered in soft rubber which is nice to the touch. Great for everyone who appreciate fancy design and practical use.